As a result of my boring daily commute I get through quite a lot of books. Far more than I ever had time to read when I was still at uni. Despite my love for browsing a good book shop I rarely buy books brand new any more. I would cost me a fortune...almost as much as the daylight robbery that is my train fare. Instead I generally pick them up in charity shops for considerably less and then just redonate when I'm done. (I do obviously also have 'coffee table' books, non-fiction bits, any favourites and some of the ones I do buy new gracing a rather large bookshelf in my room). Above are the titles I picked up on Sunday at a local boot sale. 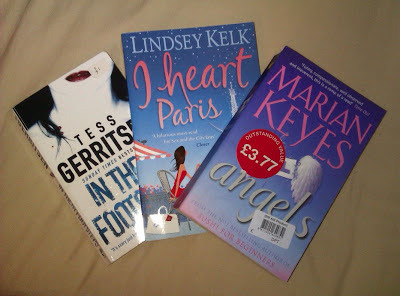 Tess Gerritsen is one of my favourite authors so i basically buy anything I don't already have. If you like thriller/crime/murder mystery sort of books with a more interesting edge to them then I highly recommend her. Chic lit is something I am picky about and generally avoid because there is a lot of pure brainless rubbish out there. But reading thriller after thriller can be somewhat gloomy, so I need to intersperse it with something. I've read the preceding books in the 'I heart...' series so this was a n obvious one to pick up. easy going, not too deep but holds my interest enough in the characters. 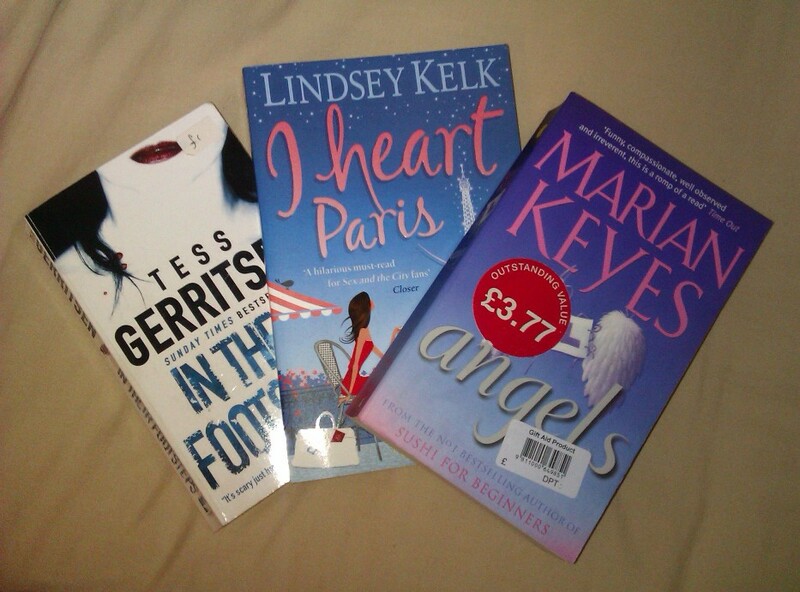 Marian Keyes is probably my chic lit of choice though. Although I hesitate to use that genre as I don't think it necessarily fits, but they're definitely girls' books. There's always added humour and depth to the stories though, not the 'oh no my boyfriend's broken up with me, but I'm going to rally the girls and make myself fabulous' sort of drivel. And I like that they're set in Ireland. Again, I recommend. Recommendations of anything similar would be much appreciated, I've got a lot of train hours to fill!